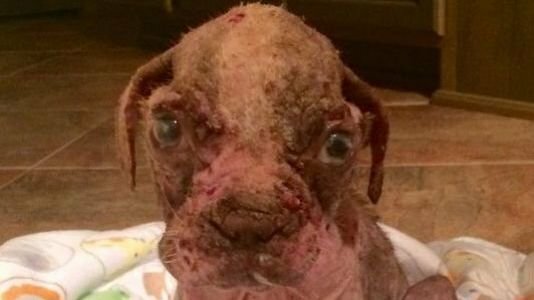 LIBRE ...the sweet puppy mill puppy who narrowly escaped death from unimaginable neglect, as is all too common in puppy mills! 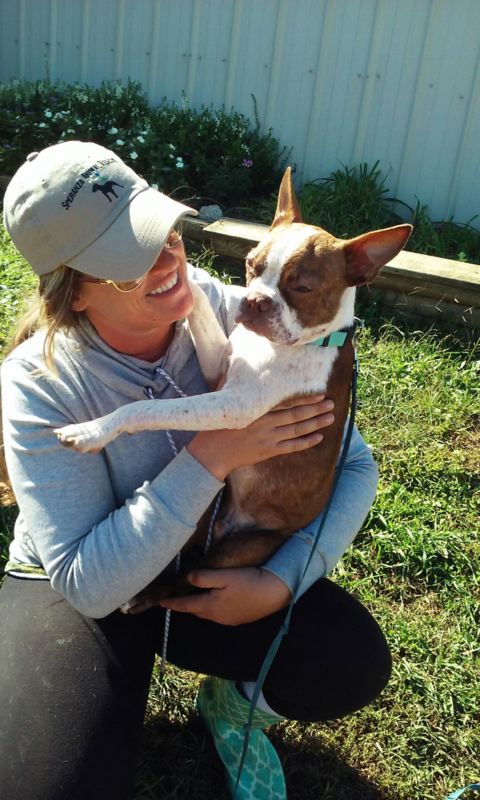 This remarkable little dog and his new mom, Janine Guido are true inspirations to all who love and cherish animals. When tiny Libre was found on Independence Day ... 7/4/2016 at an Amish puppy mill ... he was barely breathing. He was emaciated, dehydrated, starving and floating in and out of consciousness. His rotting flesh, infected with mange, could be smelled from far away. Blood and pus oozed from Libre's skin where maggots had infested his open wounds! He was rescued by a good samaritan who immediately notified Janine Guido of SPERANZA Rescue. Janine says "I promised him the first day I saw him that if he pulled through he had a forever home waiting for him". Janine told the Vets to do whatever they could to give him a chance at life. Janine named the pup "Libre" which means FREEDOM in spanish. After weeks of non-stop around the clock care by Dillsburg Veterinary Center, Janine got to take the puppy to his new home with her at Speranza. As you can see he is now miraculously recovered and very much loved by his new family! If we all pass on Libre's story, from the cruel hands of a puppy miller to the loving arms of an angel like Janine we may soon be able to stop the suffering in puppy mills. Janine Guido and her miracle baby LIBRE!